From the House of Edward‘s Pamela has a few suggestions for Edward in the event that he is non-plussed by anything not involving a big, juicy roast beef. Books are a huge part of my life. I live surrounded by them and they enrich my life in phenomenal ways. They are also one of my favorite gifts to give at Christmas. Finding the perfect book for the perfect person is bliss, whether it be brand new or antique, first edition or author signed. One of the best places to find truly special books is at The Folio Society. 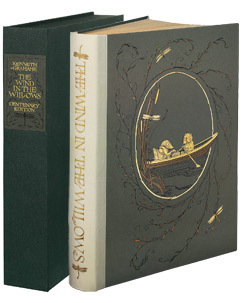 Their editions of the classics, of children’s books, art books, cookery books…from history to myth, are just incredible. Sublime editions in exquistie slipcases. Look for them at www.foliosociety.com. 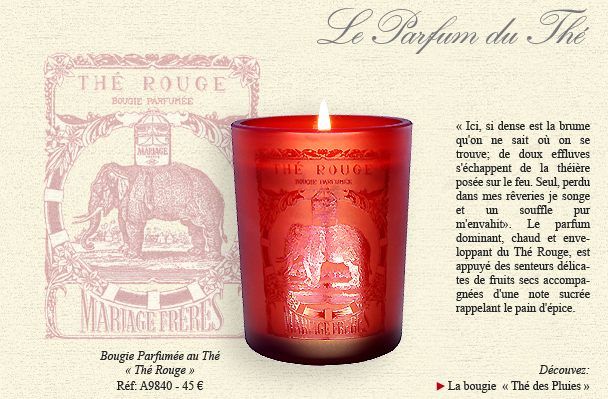 I adore Mariage-Frere candles and my favorite scent is Rouge. They smell divine, look marvelous and are the perfect gift for just about anyone. Even yourself! You can buy these at www.mariage-frere.com. 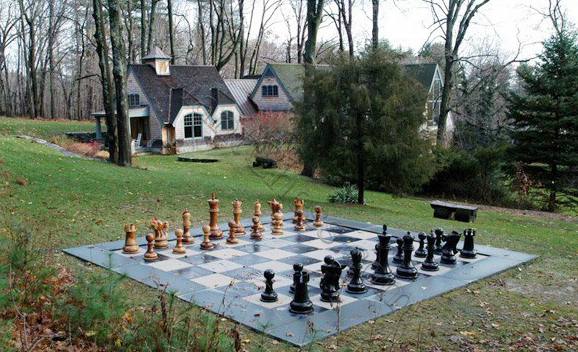 For a truly outrageous splurge, my suggestion would be an outdoor chess set. I have seen them almost life size, but I prefer the 36″ to 48″ size. Not only are they fun to play, they also add a large dose of whimsy and magic to a garden. I sometimes see antique sets, but they are getting more and more difficult to locate. You can find some wooden ones at www.giantchess.com. This entry was posted in 2008 Holiday Gift Guide and tagged 2008 Gift Guide, Folio Society, From the House of Edward, Giant Chess, Mariage-Frere. Bookmark the permalink.